Saturate Audio moves from strength to strength by building a loyal following worldwide. The latest release comes from the hands of two trusted and beloved artists in the trance community. 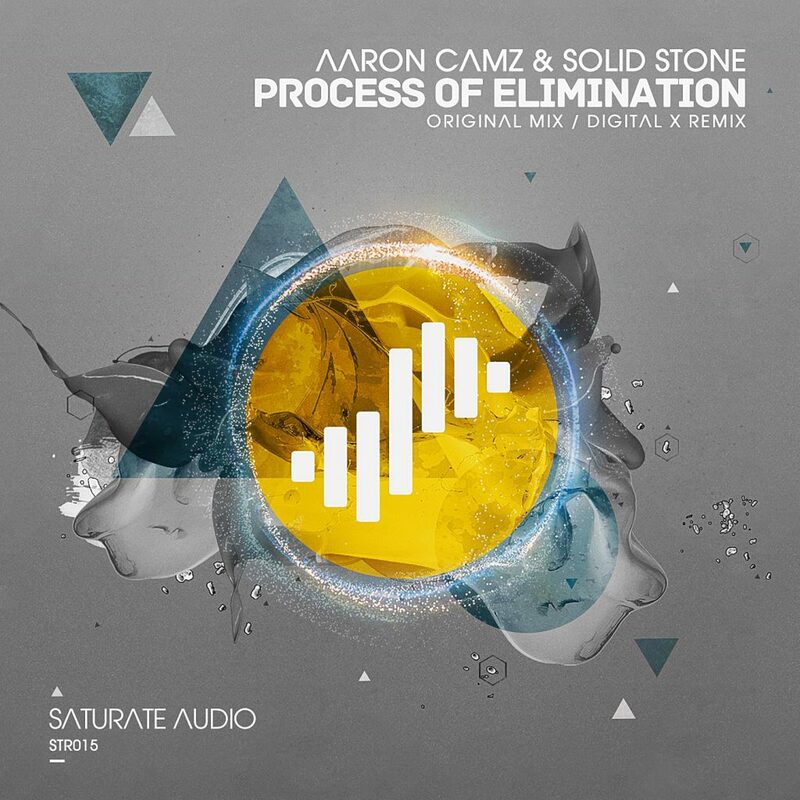 Aaron Camz & Solid Stone present their magnificent Process of Elimination. The original mix is a powerful and very energetic dark club trancer with deep throbbing basslines, bubbly beats, and side chain effects to add a sense of urgency, detachment and fear as well. The ultra strong melodic theme in the breakdown will blow the club roofs. If you like distorted siren like synthy leads Process of Elimination will satisfy you 100% by delivering what you expect from Saturate Audio. If you play tech trance that is rougher, raw with heavy slamming booming basslines then Digital X remix is the finest choice for you. It moves on the same dark and stressful pathway of dark gothic progressive trance but with a twist of tech trance to make it more upfront and in your face. If you look for fluffy easy to digest melodies better look somewhere else cause Saturate Audio has a darker and unconventional agenda. Expect the unexpected cause you haven’t seen nothing yet. Keep your ears focused on Saturate Audio.